The Otun Olubadan of Ibadanland, Oba Lekan Balogun, has pleaded with the kidnappers of his twin children to release them. He made the plea while speaking with the News Agency of Nigeria on Saturday in Ibadan. He appealed to the kidnappers to bear with him as he does not have the money being requested. The kidnappers initially demanded N100 million ransom and later reduced it to N40 million. Oba Balogun said he was able to offer them N5 million which was rejected. “The kidnappers should please bear with me and return my kids, I am ready to do anything that will make them happy. “I don’t want to endanger the life of my kids and I am not out to fight them because there is no reason for that,” Balogun said. 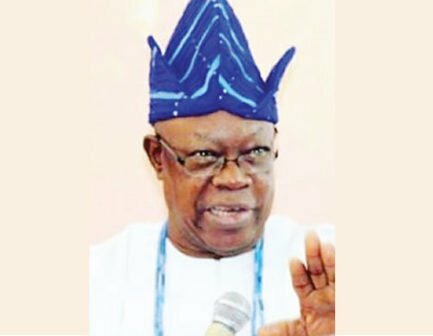 Gunmen had on Tuesday abducted the five-year-old twins with their mother in front of the Akobo, Ibadan home of the Otun Olubadan. The mother was later released after driving them to an unknown location while they went away with the twins. The Oyo Police Public Relations Officer, Mr Adekunle Ajisebutu, said the Oyo State Police Command was doing everything possible to rescue the kidnapped children unhurt and arrest the culprits. “The Commissioner of Police, Abiodun Odude, has consequently directed the command’s anti-kidnapping squad and other special outfits to organise a manhunt for the suspects and rescue the victims safely. “We assure the parents and the public that we will succeed in this task,“ Ajisebutu said.